Photo by Brock Elbank, via Radio National. Meet Harnaam Kaur, a 24 year old British teacher’s aide and anti-bullying activist who happens to have a whopping great beard. The self-proclaimed “Bearded Dame” was diagnosed with a hormonal disorder called Polycystic Ovarian Syndrome (PCOS) at age 11. This relatively common disorder – affecting 12-18% of women of reproductive age – is diagnosed based on several factors, such as lack of regular ovulation, increased androgens (male hormones such as testosterone) and several tiny cysts in the ovaries. Some of the symptoms include weight gain, acne, decreased fertility and excess hair growth. There is no known cure, and women who have the disorder may experience only some of the symptoms to varying degrees. In the case of the fine Miss Kaur, it was excess hair growth to the max. 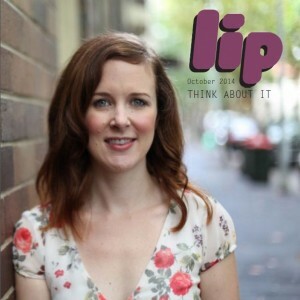 Appearing on ABC’s Radio National, Kaur shared the experience of how she came to love the beard that grew out of her face. ‘It was the bullies who made me aware about the changes to my face and the hair that I’d grown… Going into school every day was a horrible ordeal and I hated school, I didn’t like education,’ she said. Kaur not only endured the normal physical and hormonal changes that any girl goes through during puberty, she also had male hormones to deal with. As she got older, the hair spread to her chest thick and fast. She decided to try and remove the hair twice a week using depilatory creams, waxing and shaving. This resulted in skin damage, discomfort and further taunting from her peers. The bullying left Kaur in a state of deep depression with thoughts of suicide. It appeared she couldn’t win: if she grew her beard out she was a “she-man”, if she removed it she would be picked on for trying to hide it. At 16 years old, Kaur found solace in the Sikh faith and chose to be baptised. 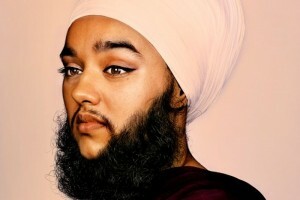 In choosing her faith she ultimately chose to grow out her beard, as Sikhism forbids the removal body hair. Her family were apprehensive about her doing so as they recognised the social barriers she would hit throughout her life, particularly when it came time to get a job and even get married. So far, the threat of these so called barriers have not stopped Kaur in any way. She has recently appeared in a series of images by photographer Brock Elbank titled #Project60: the world’s best beards – in pictures. The project was designed to raise awareness for melanoma. Kaur was the only female in the campaign. ‘It was really empowering to see my picture up there with all of these bearded men, and to be the only woman it was amazing,’ Kaur said. On top of this, Kaur is a body confidence activist and promotes diversity at the Sikh primary school where she teaches. She also joined up with UK charity Fixers to produce a short film titled Labels, which aims to prevent bullying and show the damage it can do to young people. People are inspired by Kaur suggesting that she is “brave” for showing her face in public, but that’s not what I find inspiring about her. What I find inspiring is that at 16 years old, this young woman had the capacity and strength to make her own choices and did not let gender or social expectations dictate how she lived her life. How many of us can confidently say that we are even close to that? This entry was posted in Featured, Feminism, Health, Opinion and tagged beard, bearded dame, femininity, feminism, gender, gender identity, identity, masculinity, PCOS, polycystic ovarian syndrome, UK. Bookmark the permalink.